Lucy Cole is a high-profile brand name associated with the finest in residential real estate, including luxury beachfront and waterfront homes, apartments and penthouses. Lucy and her team have handled the sale of many of the Gold Coast’s iconic properties, establishing her boutique agency as the region’s No.1 independent prestige realtor. 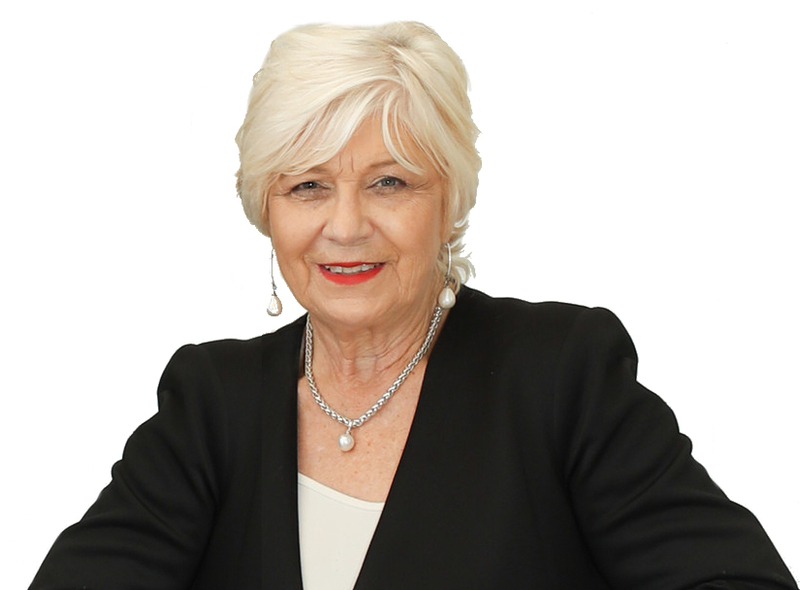 Lucy’s 21 years in Gold Coast real estate have resulted in her being named the Real Estate Institute of Queensland’s ‘Salesperson of the Year’ three times. Since joining the industry in 1988 as a single mother with two sons to raise, she has proved her abilities as a skilled negotiator and dedicated professional. She also has the rare ability to maintain a warm personal rapport with clients and colleagues alike. In the years prior to establishing her own company, Lucy won in-house sales awards from three major realtors and served as Associate Director of one of the Coast’s leading agencies. Her drive to succeed saw her study to obtain her General Auctioneer’s licence in 1995, while continuing to set records for the number of sales concluded and prices achieved. During the 1990s she was appointed Sales & Marketing Director for the Raptis Group, an iconic Gold Coast development company. In January 2000 Lucy achieved a long-cherished dream to establish her own real estate office. Situated on Isle of Capri, the fledgling business quickly grew into a thriving company, fuelled by Lucy’s ‘hands-on’ approach to business and her desire to succeed in a highly competitive market. Today, Lucy Cole Prestige Properties operates from two strategically-located offices in Bundall and Paradise Waters with a staff of 22, including a dynamic team of sales achievers whose international backgrounds give the agency an important edge in negotiations with overseas clients. Every member of Lucy’s hand-picked staff know she is always there for them – to act as mentor, to bolster their confidence and reward them for success. The office also runs a busy rental division, specialising in prestige accommodation for visiting celebrities and business executives. The outstanding performance of her business was recognised early on and the company was invited to join the exclusive Leading Agents of Australia group, providing the business with important nation-wide industry contacts and additional resources for an already impressive international database. A cancer survivor, Lucy was also the patron of the Queensland Cancer Council’s annual “March Toward a Cure” ball for two years, helping to raise thousands of dollars to fund research and improved patient care. In 2009, she was the major sponsor of the black tie Hand of Life ball in support of Lifeline counselling programs. Lucy’s dedication to the property industry has seen her serve as President and Vice-president of the Gold Coast branch of the REIQ. For some years she has also held the post of Vice-president of the Surfers Paradise-Broadbeach Chamber of Commerce. She was also included in an official list of the ‘100 Most Powerful Gold Coasters’ in 2007 and has been a finalist in the Telstra Business Woman of the Year awards.